EU says attempts by Hamas to glorify Har Adar attack are reprehensible. 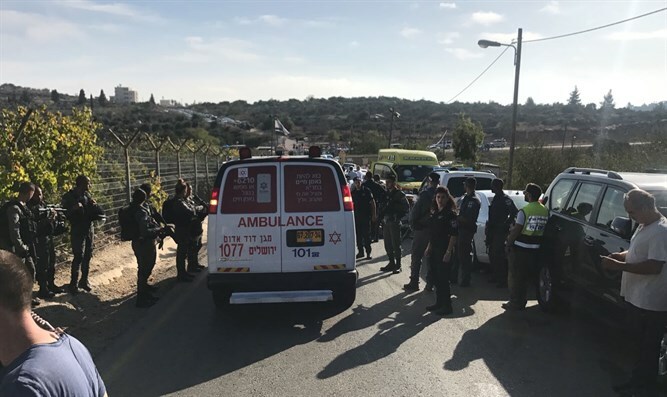 The European Union (EU) on Tuesday condemned the terrorist attack in the town of Har Adar, northwest of Jerusalem, in which three Israelis were murdered. Earlier on Tuesday, U.S. Special envoy Jason Greenblatt condemned the deadly terrorist attack and criticized Hamas for praising it. "My family & I are horrified by the attack in Har Adar. Shame on Hamas & others who praised the attack. All must stand against terror!" Greenblatt tweeted. Hamas was not the only group to praise the attack. Fatah, which is touted the by the West as a “peace partner” for Israel did so as well. The group’s official Facebook page referred to the attacker, Nimer Mahmoud Ahmed Aljamal, as a “martyr”.